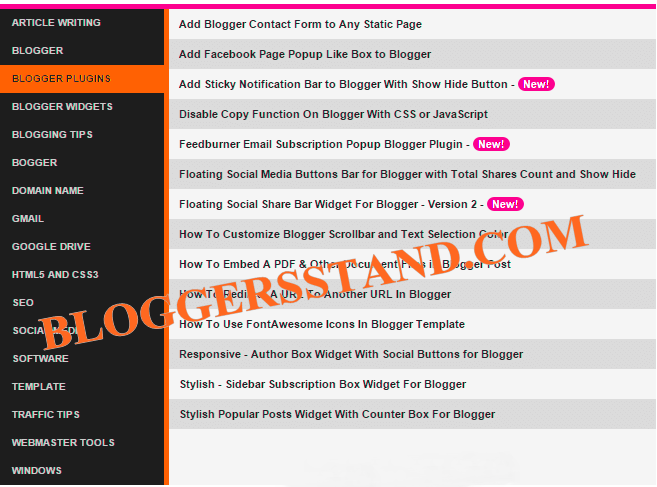 Add Responsive Sitemap/Table of Content In Blogger | BloggersStand ';-1!=b.indexOf("img.youtube.com")&&(a=' ');d=a+''+p+''+titlex+"
In this tutorial we are going to explain how to add responsive stylish sitemap to blogger.Sitemap increase the page views of your blog or website.Visitors of your website can easily navigate through the all of your content.This gadget will help you to add a table of contents or sitemap on blogspot showing the index of all posts separated by categories.It will also show the new published post with a text saying New.Sitemap of the site make it easier for visitors to find the content that they are searching for.to grab this beautiful tabbed sitemap widget for blogger follow the steps mentioned below. First go to new page and create a new page and enter the name sitemap in the title area to get same permalink. Now click on HTML mode. Now Copy the following code from below and paste it inside. To change the text when sitemap is loading,replace this "Loading, please wait for a moment..." with your text. 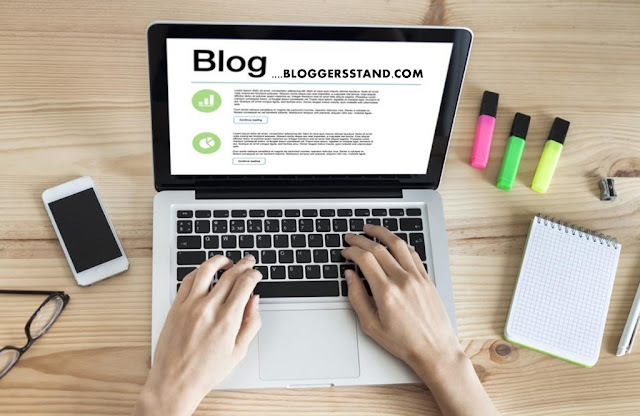 Replace the http://www.bloggersstand.com with your website url. To change the color theme to match with your template,replace FF3333 with your hex color value,for color hex code you can choose colors from color wheel picker ,generator and Flat UI colors. first open your published sitemap and go to your categories in sitemap,there you will see all lables of your blog or website.first label is on number 0 and second number is 1 so keep this in mind when you start counting to hide your lables start from 0. 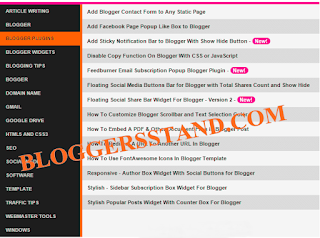 How to add Add Responsive Sitemap/Table of Content In Blogger,elegant stylish attractive beautiful tabbed sitemap widget gadget for blogger website or blogs. 0 Comments on "Add Responsive Sitemap/Table of Content In Blogger" So Far - Post Yours!